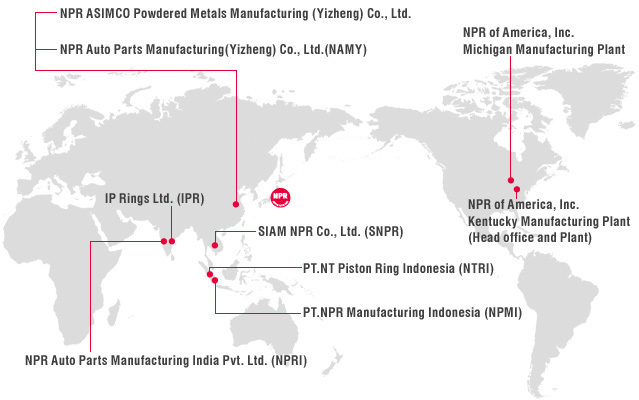 Production bases - Overseas bases - Corporate Information - NIPPON PISTON RING CO., LTD.
Production and sales of piston rings. valve seat inserts, cylinder liners and other products. D 11/12, Industrial Estate, Maraimalai Nagar, Tamil Nadu, India-603 209. Production and sales of Piston Rings. NPR ASIMCO Powdered Metals Manufacturing (Yizheng) Co., Ltd.